Cigar Cutter Colibri Monza Cut in Black / Blue. Very nice, small cutter with two blades for a clean cut of the cigar. 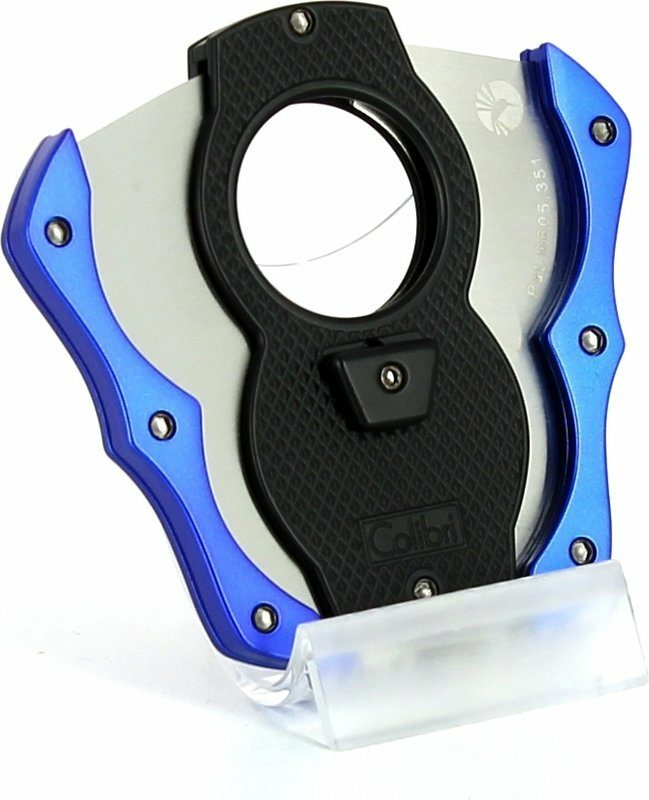 The cutter is also ideal for thicker cigars with up to 62 mm ring gauge.